Los Angeles Disability Discrimination Attorneys: There is a misconception that disabled people do not want to work, or that disabled individuals simply cannot or will not be as valuable in the workplace as another able bodied individual. In the state of California it is estimated that 33.5% of disabled individuals are employed and 9.5% disabled individuals are currently not working but are looking for gainful employment (Cornell University, 2014). These are people who want to be employed and who want to have a positive impact on our economy. Unfortunately many give up the search on a regular basis because they feel or know that they are being discriminated against when interviewing for or working in a job. Someone who is a “qualified individual with a disability” is an individual who meets the skill, education, experience or other requirements of an employment position which he or she holds, or which he or she is seeking. These individuals can perform all of the “essential functions” of a position either with or without what is known as “reasonable accommodation” (which we will address a bit later on). It is important that disabled workers are qualified. If an individual is “qualified” to perform essential job functions (apart from any limitations due to his or her disability), then the employer must consider if a job applicant can perform these functions with reasonable accommodation. What may be most important for those who are applying to jobs is the written job description. Should a written job description be prepared in advance, then this can be used as evidence (though not conclusive evidence) that an applicant can or could have performed essential functions of the job. On that note, employers do not need to prefer a “qualified applicant with a disability” over another equally or more qualified applicant. Employers can hire an applicant who best fulfills the job role. For example, if a disabled applicant types 35 words per minute but an able bodied applicant can type 75 words per minute and they are performing data entry, the employer can hire the applicant with the higher typing speed. Employment discrimination is prohibited against “qualified individuals with disabilities”. This term covers both employees and applicants for employment. First, an individual is considered to have a disability if he or she has a physical or mental impairment which imposes substantial limitations on one or more life activities, including a medical condition that limits the employee’s ability to work. These are also individuals who are medically known to have an impairment or who are regarded as having an impairment. Examples of what would likely not be covered are non-chronic conditions such as a sprain, the flu, or a broken limb. An individual may also be considered to have an impairment if they have a record of disability, such as a person who has or is recovering from cancer or a mental illness. Those who also have a substantially limiting impairment may also qualify, such as someone who has a severe facial disfigurement but who was denied employment because an employer believed that his or her customers would have “negative reactions” from customers and/or co-workers. Mental conditions are not the same as a mental disability. A mental condition is considered to be a health impairment which is related to or associated with a genetic characteristics or a diagnosis of cancer (or a history of cancer). As an example, women who carry an established gene which increases her chance of breast cancer are protected under state law. Reasonable accommodation is any appropriate measure which allows a disabled applicant or employee to perform essential job role functions. This may include modifying a work schedule, modifying or purchasing new equipment, restructuring jobs, and modifying examinations and policies. See California Government Code § 12926.1(p)(2); 2 CCR § 11068(d)(1). For example, let’s say an applicant has a severe vision impairment applies for a job with a small market where where are only five other employees. The applicant requires assistance to work at the register by having one of those four other employees present at all times. If the business in question could not afford additional staff to accommodate the employee, or it could not afford the cost of remodeling to accommodate having two employees at the same time, they may be allowed to not provide “reasonable accommodation”. An employer cannot simply demand you are 100% healed to return to work. See Gelfo v. Lockheed Martin Corp., 140 Cal. App. 4th 34, 49 n.11 (2006) (“A policy requiring an employee be ‘100 percent healed’ before returning to work is a per se violation even under the Americans with Disabilities Act [ADA] because it permits an employer to avoid the required individualized assessment of the employee’s ability to perform the essential functions of the job with or without accommodation.”); see also McGregor v. National R.R. Passenger Corp., 187 F. 3d 1113, 1116 (9th Circ. 1999) (stating that a policy requiring employees to be ‘100% healed’ or ‘fully healed’ after an injury is facially discriminatory and constitutes a per se violation of the ADA). California law is very clear that an employer is mandated to initiate the interactive process when it becomes aware of an employee’s request for an accommodation. See 2 CCR § 11069 (an employer “shall initiate an interactive process when . . . (1) an applicant or employee with a known physical or mental disability or medical condition requests reasonable accommodations, or (2) the employer or other covered entity otherwise becomes aware of the need for an accommodation through a third party or by observation”). “Once initiated, the employer has a continuous obligation to engage in the interactive process in good faith.” Swanson v. Morongo Unified School Dist., 232 Cal. App. 4th 954, 971-972 (2014). This means that an employer cannot just engage in the interactive one time where additional interaction is needed to arrive at an appropriate reasonable accommodation. Accordingly, the employer should engage in the interactive process once it learns that the employee’s condition has worsened or the employee has difficulty in performing his or her duties due to their disability. The preferences of what accommodations will best suit the disabled individual should be taken into consideration, but at the end of the day it will be what is the best fit for the employee and the employer. It is also important that this “consultation” be conducted in “good faith”, meaning that both the employer and the employee have the opportunity to directly communicate with one another to make note of essential information to ensure that appropriate accommodations are made. The ADA prohibits a potential employer from asking an application or requiring an application to take a medical examination prior to making a job offer. Your employer also cannot make pre-employment inquiries about your disability, including the nature or the severity of it. What an employer can ask are questions which pertain to one’s ability to perform specific job functions. For example, an employer can ask someone with a disability to describe or demonstrate how he or she would perform a specific task, either with or without accommodation. Employers do also have the right to place conditions on a job offer based on the satisfactory result of a post-offer medical inquiry or examination, but only if this is a requirement of all employees who are entering the same job category. It is important to note that a post-offer inquiry or exam also does not have to be job related and that it does not need to be consistent with business necessity. To further complicate matters, if an individual is not hired because a post-offer medical inquiry or examination reveals a disability, the reasons for not hiring that individual must be related to the job and consistent with the necessity of the business. The employer must also prove that they had no reasonable accommodation available which would allow the disabled individual to perform their essential job functions, or that the accommodation would result in undue hardship. 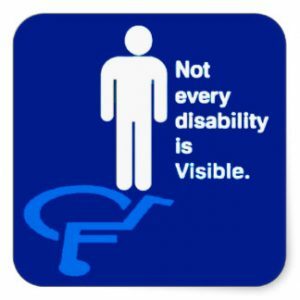 The fine line between disability discrimination and being passed over for a better suited applicant can be incredibly difficult and complex, but the Azadian Law Group, PC has the experience and knowledge necessary to pick out the differences and determine if you have a disability discrimination case. Serving most of Southern California, if you believe that you have been a victim of disability discrimination, we want to hear from you. Please schedule your free consultation with us today by calling (626) 449-4944 or (213) 229-9031.